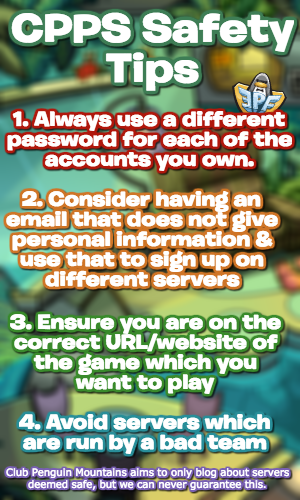 Earlier today, the Club Penguin Rewritten team held a small stream where they waddled around the island, acted a play, played games and answered a lot of questions! It was pretty long, but it wasn’t the Devcast (which will be coming in October) and it was hosted by Joee, RogerDan and stu. Sadly, the video isn’t available to be watched again, but I did record some of the interesting information revealed. Rockhopper has been confirmed to be the only mascot visiting for The Fair! Rookie isn’t visiting as he visited for the Penguin Games. 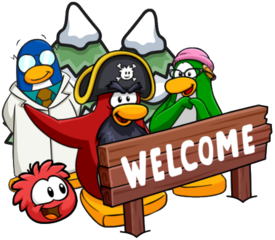 It was also confirmed that he’ll be visiting the island a few more times for the party, so feel free to check out the Rockhopper Tracker for a chance to grab his new background. The 13th Anniversary Party for Club Penguin has been confirmed to occur on Club Penguin Rewritten today, and that’ll be around October 24th! There’ll be some “very awesome” stuff in October, including multiple events. Talking of the 13th Anniversary, the team have announced they’ll be doing some sort of giveaway likely around that time on social media (Twitter), but not much more has been revealed for certain yet. As for Halloween, it’s going to be the “biggest party yet” in stu’s opinion, though a lot of it is still in development. More details will be released closer to the time, including information on mascots, however for now we know that a Candy Hunt is very likely. Lastly, October is going to have a huge Penguin Style catalog! I believe that covers everything revealed, but if it doesn’t, I will update this soon. Thank you very much for reading, waddle on! Well, I can’t wait for the Halloween! I always loved these parties and I think this one will be amazing!